Starting at a really early age, I have been fascinated with learning languages. Ever since I was a kid, mastering a tool that enabled me to communicate with others has always appealed to me. In school I learned, Dutch, French, English, German, Latin and Ancient Greek. When I moved on to college, I also took Spanish. Having acquired the skill set that is needed to learn languages, I managed to become faster in learning new languages as I now no longer was afraid to try it out, and knew some tricks to quickly expand into new uncharted areas. Spanish came easily as I had already learned French and Latin, so I could build on those. After only a few classes I was allowed to skip the remainder of Spanish 101 and jump ahead to Spanish 103 right away. I left some baffled classmates behind who’d had taken Spanish for six years in high school only to find out that I had surpassed them within only one lesson. Ok, I do have a talent for learning languages, but I am no Einstein. A lot in learning languages is trainable, as long as you are motivated and believe in yourself. That is why I am writing this article. So what is the trick? There is no one magic trick, but there are several handy tricks and tips. I will go into other tips and tricks in future articles, but today I want to focus on my most recent (and coolest) discovery: Skype-teachers. Two years ago, my traveling adventures brought me to Israël. As I always do prior to visiting a country, I downloaded some online courses to study the basics of the language. In this case, Hebrew, as I already spoke Arabic. The trouble with languages that use a different alphabet, however, is that they are a lot harder to master. That is, you can learn to understand and speak them, but writing is out of the question via that method. For Arabic, this did not present me with many problems, as I was fine just learning the vocal part. But I found out that Hebrew is easier to learn if you can just see the words. You can not just see the words, though, as they are written in a different alphabet. Two alphabets, as it happens, as the Israëli use a different alphabet for script compared to printed letters. They are the same letters, but just written differently. I found out that there is not a lot of phonetic lessons (words written in western alphabet, the way they sound phonetically), so I reckoned that my progress would be quite limited. 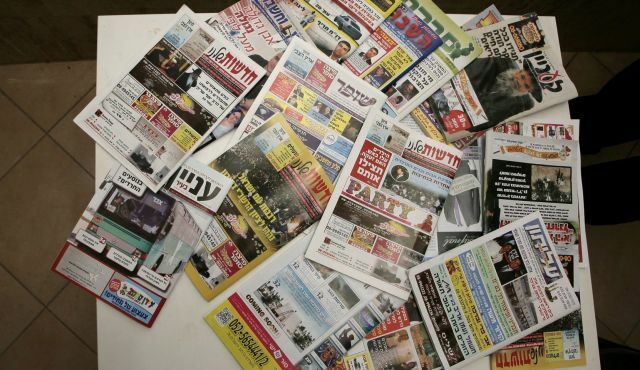 Of course, I did not have time for all of this just a few weeks before going to Israël, so I ended up with just a very limited vocabulary. All the time I was over there, I thought, next time, I will do better. But how? Well, on searching for methods, I stumbled upon the Ulpan Aviv courses. I had already been told by locals that Ulpan is the way to go, and found some pretty expensive books that I was not sure I should get. On a closer inspection of the Ulpan Aviv website, I noticed they offer one on one lessons in Israël with teachers or Skype-classes. 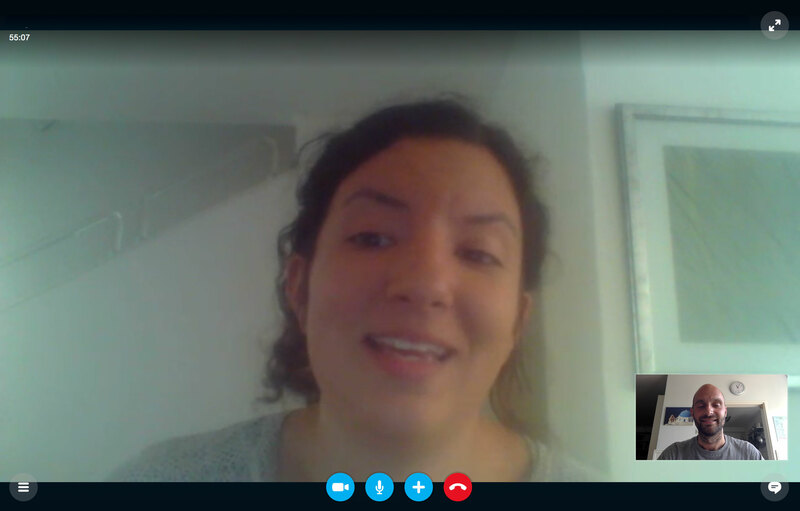 The first option being out of the question as I live in Holland, I decided to do an intake with Ulpan Aviv and get to know more about the Skype-lessons. What I heard, sounded really interesting and the school offered a two lesson trial, so you can safely see for yourself if you like their lessons. I decided to go for it and found out it was exactly what the doctor ordered. I have been taking two Ulpan lessons a week and it’s a great way to learn a language. Every class, my teacher rings me up on Skype and we go over the homework (yes, homework!) she gave me after the previous lesson. This works really well, as it takes out the weak spot of self learning: procrastination. If you know there is a private tutor waiting for you that you are paying for, you are not going to flunk your class and homework. Not just because you paid for it, but also because you don’t want to look like an immature slacker and disappoint a person that made time for you. In high school, skipping homework might have looked cool, in grown up life, it’s just stupid. 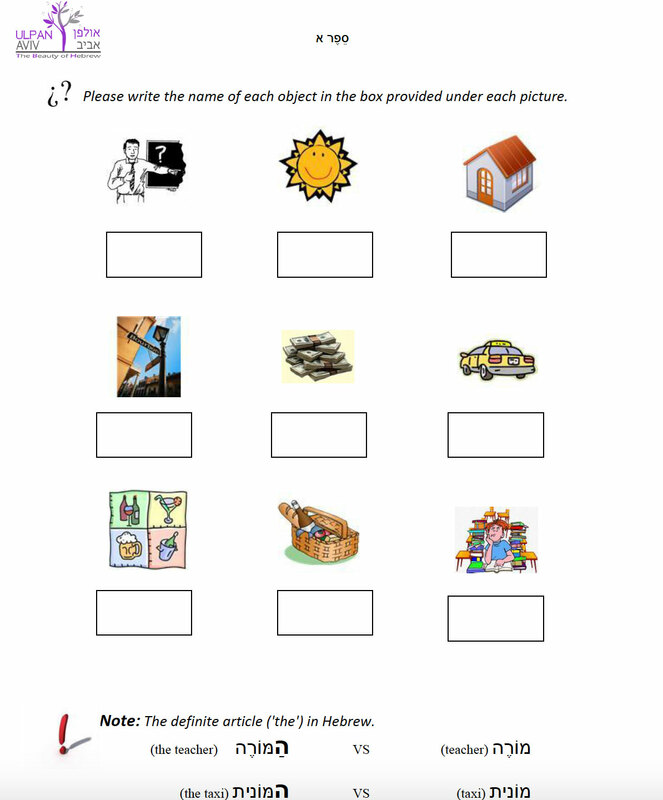 So the homework automatically provides you with a very important tool to succeed: discipline! And trust me, if you do two lessons a week, one on one, with homework before and after them, you are going to need a lot of discipline. But you are also going to get a lot of results! What self tutoring does not do for you, is correct you when you are wrong. Even if you think you can correct yourself: you can’t. I have tried, it is impossible. I am actually rather impressed by this learning method. Of course you can make it as intense as you want, but in me it sparkled a deep fascination for the language and a will to further explore as fast as possible. Once you are starting to get the hang of it, learning a language feels like watching a flower that is unfolding. And today, with social media and apps like Couchsurfing, the world and its inhabitants are literrally at your fingertips, so it is real easy to communicate with people in your newly acquired vocab-set. 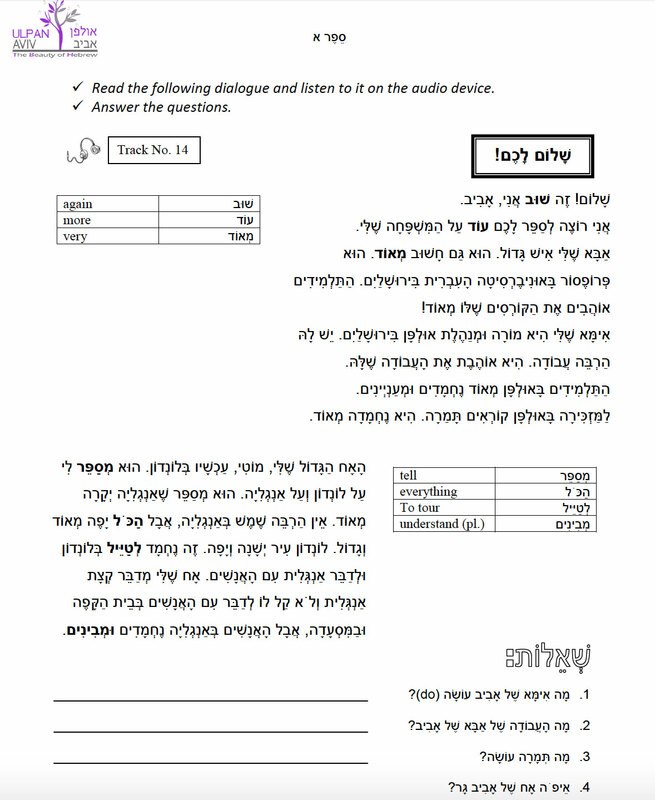 The Ulpan Aviv method also gets you a number of pdf-learning books to go with the Skype-course. There are conversations in specific situations (at restaurants, bus stops, markets, shops, etc). First, you learn the new words that are used in the conversation and then you get to use them during the conversation. You also get maps with audio files that cover almost every word and conversation in the text books, allowing you to practice at home, as much as you want. To me, these proved really helpful. I would strongly recommend using this teaching method to learn your next language, especially Hebrew as it is a beautiful language. The only better way would be to start living in the country itself, but in my case, that is not an option. But I am a far from done with learning Hebrew, I want to become as fluent as possible and am very curious as to find out where my boundaries lie. And I am still looking forward to each Ulpan Aviv-class. It is very exciting to improve yourself and each class does just that in a big way. A huge thumbs up for Ulpan Aviv! I am looking at their website right now, want to know more about the prices. Can you tell me? I have to improve my hebrew, this looks like a good idea. Toda! I have shared this with my wife , as this is exactly what she is looking for !